Disclaimer: this site includes affiliate links for which, at no cost to you, we earn a few cents if you follow and buy the items. This helps pay for the maintenance costs on this site. 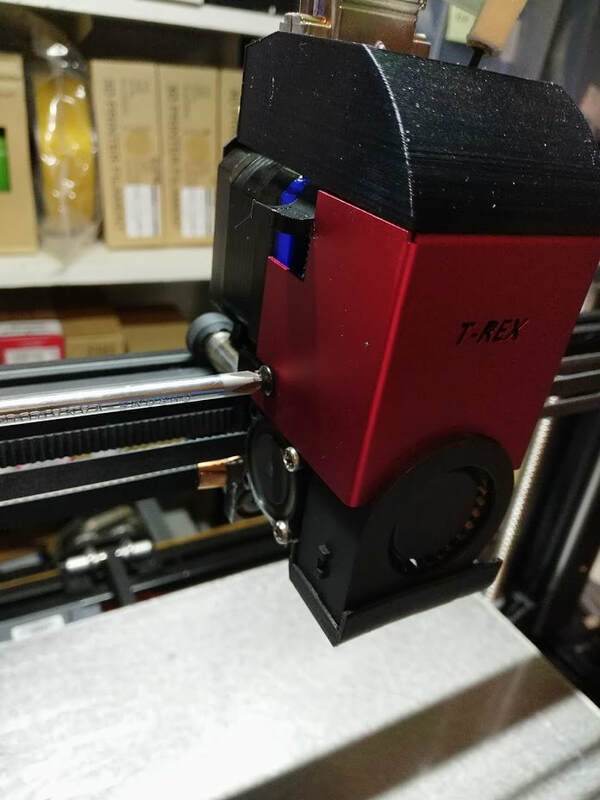 The stock T-Rex 3 comes with a heat break lined with PTFE tubing, which quickly breaks down over time, especially when running at 250C as you would for filaments like nylon or PETG. 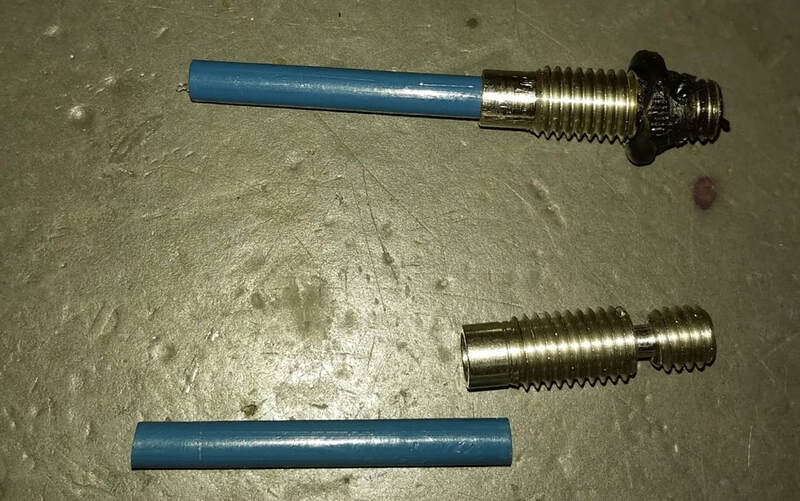 This is a guide to replacing that heat break with an all metal heat break to eliminate the problems caused when the stock Capricorn tube deforms. The whole process took me about 10 minutes, and I was taking pictures along the way. 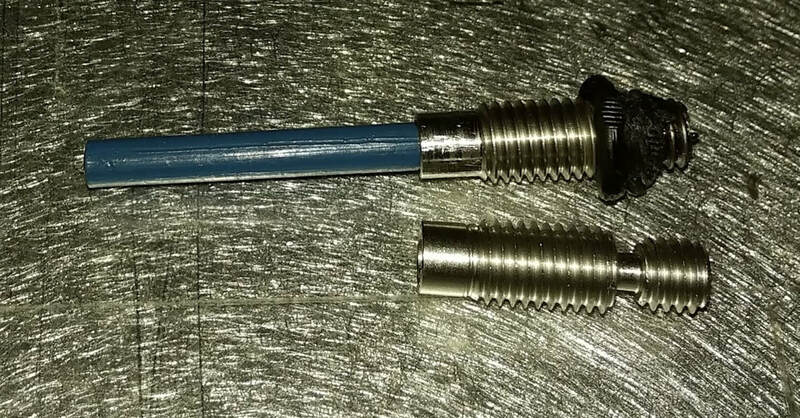 Note that an all-metal heat break can cause problems with PLA if you don't know what you are doing. 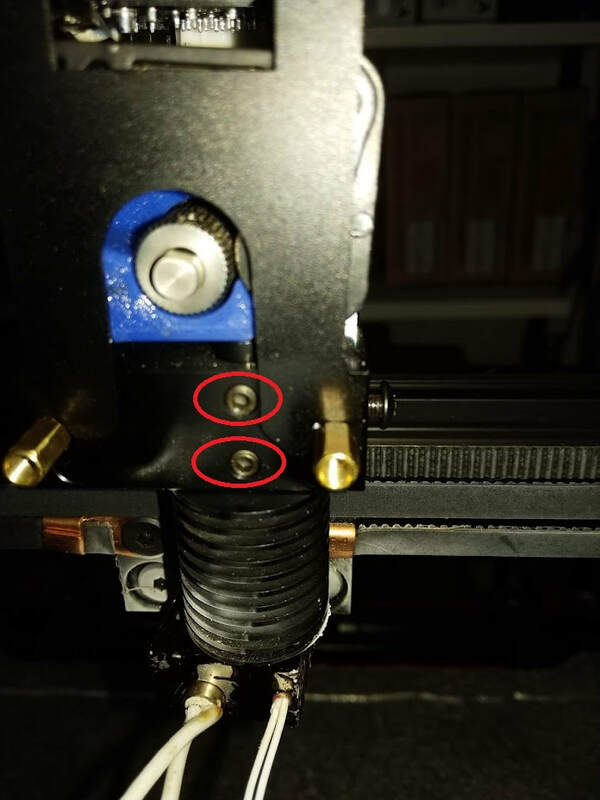 Most importantly, you need to lower your retraction settings to 2mm or less. 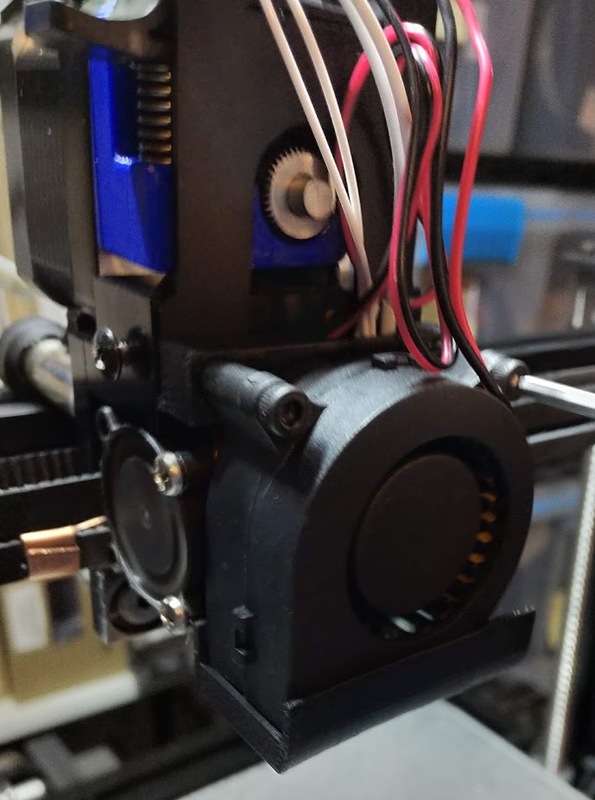 Increase your print temperature to about 210C on PLA. 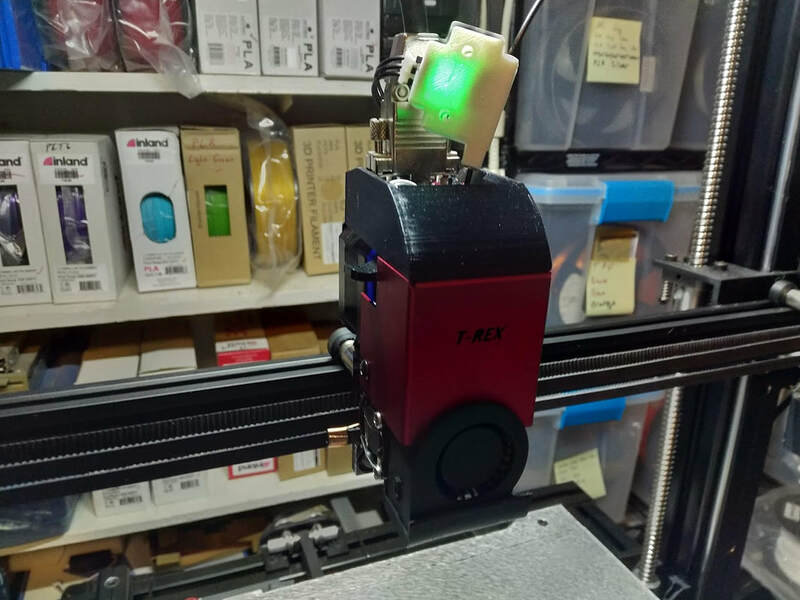 Last, season your hot end with a few drops of olive oil (I just drop them right on the filament as it enters the extruder) before starting your first couple of prints. Lots of debate on this seasoning tip, but I've been doing this for 5 years now, with hundreds of kg of PLA printed, and this is the only thing that I've found that prevents jams. 1. 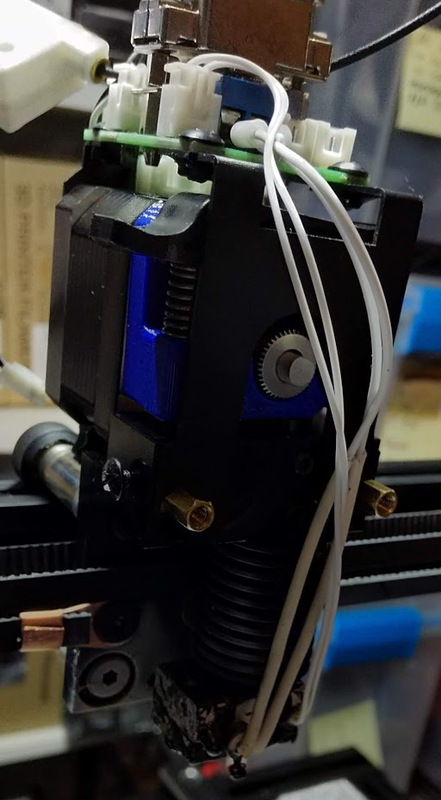 Start by centering your extruder and raising your z-height to a comfortable working level. I use 150mm. 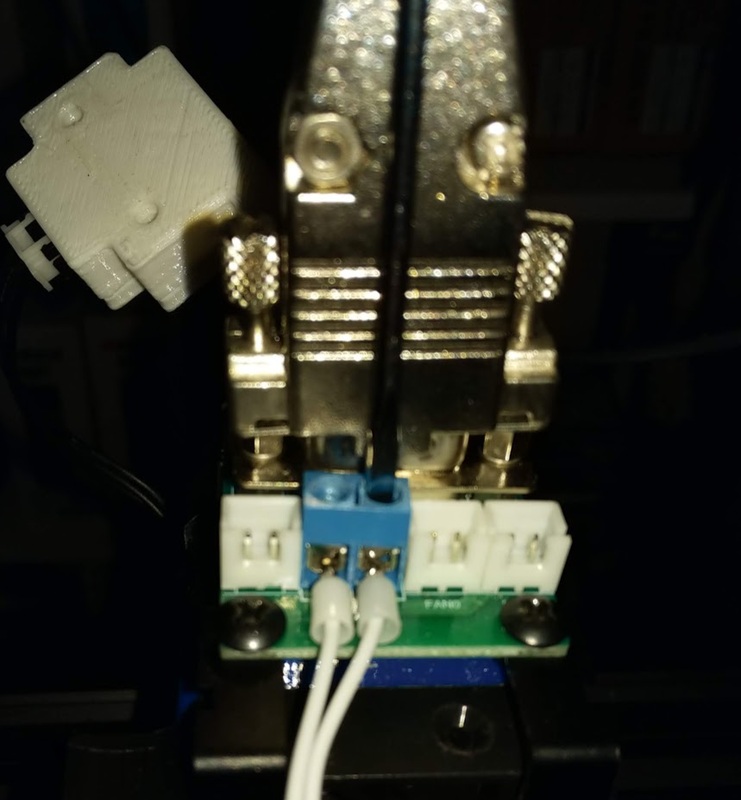 If you have filament in your extruder, heat up the hot end and remove it. At this point I'd recommend you shut off the printer to avoid shorting anything out, but that's up to you. 2. Loosen (don't remove) the phillips screws on the left and right side of the extruder, and then slide off the metal cover. 4. Remove the cooling fans assembly and disconnect the plugs. (Remember to pay attention to where they go. 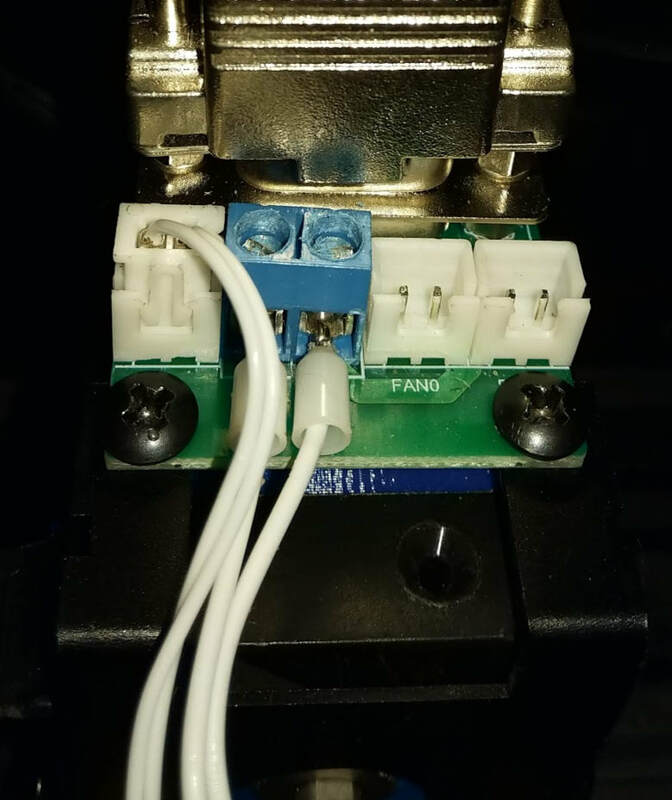 If you forget, the plug labeled fan0 (1st extruder) or fan1 (2nd extruder) is for the hot end cooling fan. To make this job easier, at this point I'd recommend removing the nozzle. 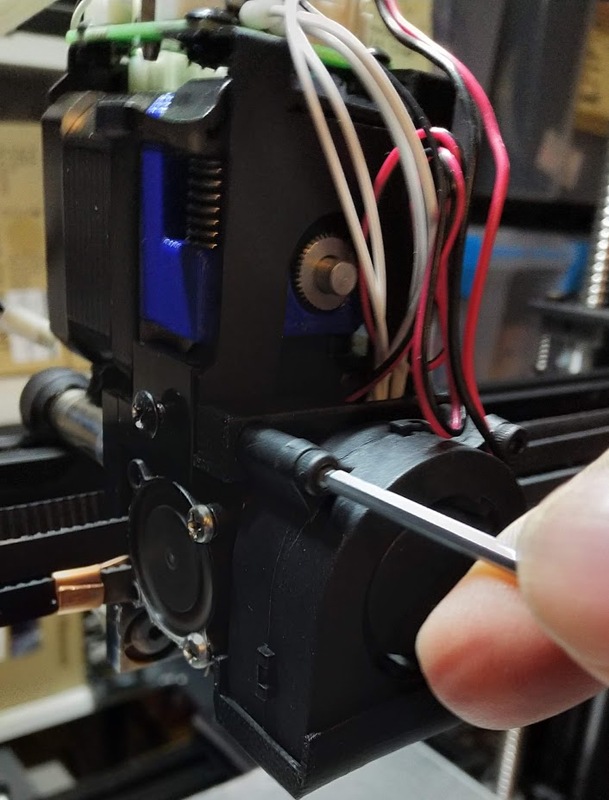 Heat up the hot end to 230C, grip the heating block with a large pair of pliers, and use a socket to remove the nozzle. Don't burn yourself! After removing the nozzle, let everything cool down before going further. 5. Unplug the temperature sensor wires. Use the small flat head screwdriver to unscrew the two screws holding the heating element wires in place. If you haven't shut off your printer before this, you definitely need to do so before unscrewing these. 6. Loosen the two set screws circled in red (don't remove them) and your hot end should now slide out the bottom. Be careful as this might still be hot. You now should be able to unscrew the heater block from the heat break / cooling fins. One of these will loosen up first, and then you'll probably have to use a pair of pliers to unscrew the heat break. 7. Old heat break with the new heat break along side it. Note that my heat break had a crack in the side that allowed the plastic to ooze out. 8. You'll need to cut your PTFE tube to length because it won't go in as far to the new heat break. You'll need a scalpel for this. I cut mine to 33mm. Try to do a better job than I did in this picture and get your cut square to the tube, not at an angle. 9. Add Arctic Silver MX-4 thermal grease to the heat break ON THE COLD SIDE ONLY (closest to the fins). Thread the heat break onto the fins until you can tighten it no further. 10. Screw the thermal block back on to the heat break, leaving a bit of room as shown. Next, tighten the the nozzle back on to the thermal block all the way, then back it off by one full turn. Hold the fins in one hand and the thermal block in the other, and screw these together fairly tight. You don't really want to use a wrench here because you can damage your heat break. 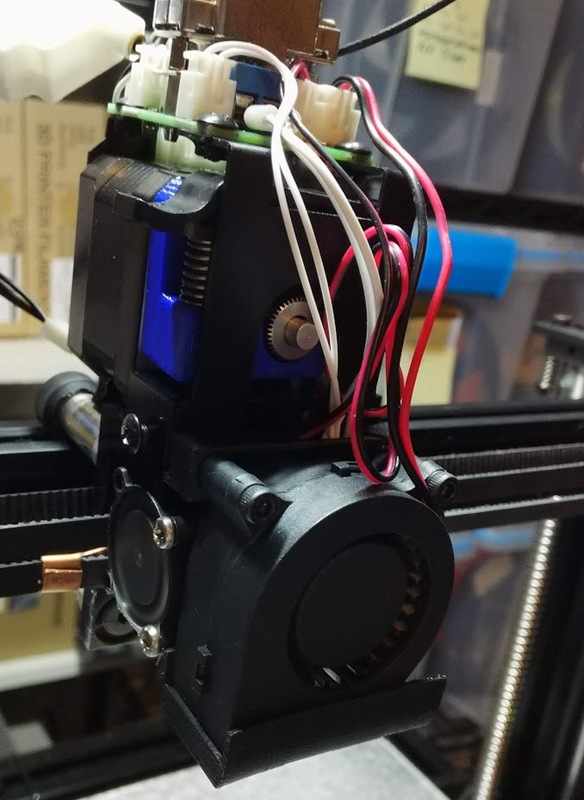 Install the hot end assembly back into the extruder, tighten up the set screws, and connect up the heater wires. 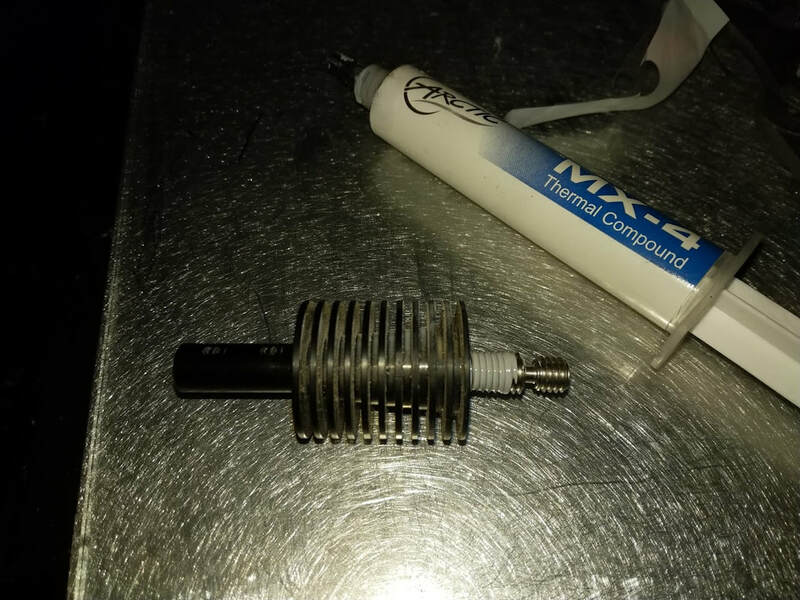 This is where I then heat up the hot end again, hold the heater block with slip pliers, and tighten up the nozzle the rest of the way. ​At this point, just reverse your steps to assemble.